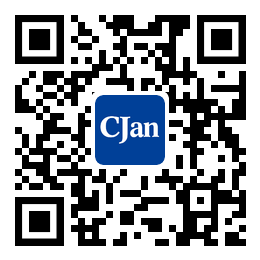 ﻿ Introduction of Silicone Tubing - CJan Fluid Technology Co., Ltd.
At present, in pharmaceutical production process, silicone hoses are always used for liquid conveying, the peristaltic pump and pouring operation and so on. This article is going to discuss the advantages and boundedness of silicone hoses and variant that need to be considered by comparing the quality of many kinds of the hose materials. Organosilicone is a business name of numerous products, but many of them are made of PDMS. The characteristics of these polymers are their high strength of covalent bond (Organosilicone has the stability of UV)heat and chemistry, so it is easy to sterilize). Polarity backbone can abnormal rupture easily, but the methyal group on the chain can contribute to protection. Therefore, Organosilicone has hydrophobicity, water on the PDMS model surface has the high contact angle of 108 degrees. Because of the hydrophobicity, organosilicone just reacts in alkali and strong acid rather than aqueous medium without surfactant. Silicone hoses are packed and provided after extrusion molding, they are put in double seal polyethylene bags. It is worth mentioning that because of the thermoset of PDMS, they can not be reprocessed like thermoplastic plastics. By the same token, they can't heat sealed. So when they connect, silicon tubing should be put on the connector of the tube, and tie them from the opposite direction with two ribbons. It is feasible to use common mode press molding and sometimes they are used in medical equipment fields.